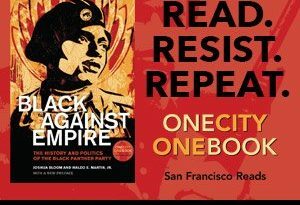 Last October marked the 50th anniversary of the founding of the Black Panther Party in Oakland, California, when, in 1966, college students Bobby Seale and Huey Newton vowed to prevent police brutality against black communities. In the face of intense repression, the Party flourished, becoming the center of a revolutionary movement with offices in sixty-eight U.S. cities and powerful allies around the world. 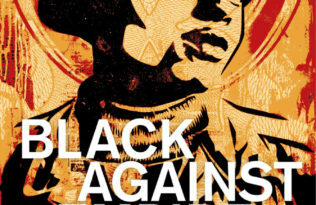 Like the Black Panther Party, #BlackLivesMatter and other contemporary activists have coupled confrontational tactics with community organizing and sought to challenge racism by mobilizing against police brutality. And again, today antiracist activists face repression including state surveillance, arrests, and coordinated public vilification. As in the 1960s, the forces of racial retrenchment are eager to move on without disturbing the basic arrangements of white privilege. . . . Indeed, each generation must make its own history, under new conditions, in new ways. Rather than emulating the specifics, we believe that developing effective antiracist practices today requires emulating the general political dynamic common to both the Civil Rights Movement and the Black Panther Party. 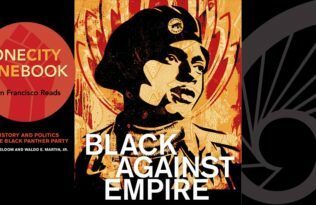 Included in the book is The Black Panther Party’s Ten-Point Program. First publicized in the the second issue of the organization’s newspaper, Black Panther, on May 15, 1967, the platform and program, titled “What We Want Now! What We Believe,” was a set of guidelines written by Newton and Seale that emphasized the Party’s ideals and commitment to advancing a revolution that addressed the needs of the black community. It appeared in every succeeding issue of the newspaper. To those poor souls who don’t know Black history, the beliefs and desires of the Black Panther Party for Self Defense may seem unreasonable. To Black people, the ten points covered are absolutely essential to survival. We have listened to the riot producing words “these things take time” for 400 years. The Black Panther Party knows what Black people want and need. Black unity and self defense will make these demands a reality. We want decent housing, fit for shelter [of] human beings. We want freedom for all Black men held in federal, state, county, and city prisons and jails. We want all Black people when brought to trial to be tried in court by a jury of their peer group or people from their Black communities. As defined by the constitution of the United States. We believe that the federal government is responsible and obligated to give every man employment or a guaranteed income. We believe that if the White American business men will not give full employment, then the means of production should be taken from the business men and placed in the community so that the people of the community can organize and employ all of its people and give a high standard of living. We believe that this racist government has robbed us and now we are demanding the overdue debt of forty acres and two mules. Forty acres and two mules was promised 100 years ago as retribution for slave labor and mass murder of Black people. We will accept the payment in currency which will be distributed to our many communities: the Germans are now aiding the Jews in Israel for the genocide of the Jewish people. The Germans murdered 6,000,000 Jews. The American racist has taken part in the slaughter of over 50,000,000 Black people; therefore, we feel that this is a modest demand that we make. We believe we can end police brutality in our Black community by organizing Black self defense groups that are dedicated to defending our Black community from racist police oppression and brutality. The Second Amendment of the Constitution of the United States gives us a right to bear arms. We therefore believe that all Black people should arm themselves for self defense. We believe that the courts should follow the United States Constitution so that Black people will receive fair trials. The 14th amendment of the U.S. Constitution gives a man a right to be tried by his peer group. A peer is a person from a similar economic, social, religious, geographical, environmental, historical and racial background. To do this the court will be forced to select a jury from the Black community from which the Black defendant came. We have been, and are being tried by all White juries that have no understanding of the “average reasoning man” of the Black community. When in the course of human events, it becomes necessary for one people to dissolve the political bonds which have connected them with another, and to assume among the powers of the earth, the separate and equal station to which the laws of nature and nature’s god entitle them, a decent respect to the opinions of mankind requires that they should declare the causes which impel them to separation. We hold these truths to be self-evident, that all men are created equal, that they are endowed by their creator with certain inalienable rights, that among these are life, liberty and the pursuit of happiness. That to secure these rights, governments are instituted among men, deriving their just powers from the consent of the governed, — that whenever any form of government becomes destructive of these ends, it is the right of people to alter or to abolish it, and to institute new government, laying its foundation on such principles and organizing its powers in such form as to them shall seem most likely to effect their safety and happiness. Prudence, indeed, will dictate that governments long established should not be changed for light and transient causes; and accordingly all experience hath shewn, that mankind are more disposed to suffer, while evils are sufferable, than to right themselves by abolishing the forms to which they are accustomed. But when a long train of abuses and usurpations, pursuing invariably the same object, evinces a design to reduce them under absolute despotism, it is their right, it is their duty, to throw off such government, and to provide new guards for their future security. 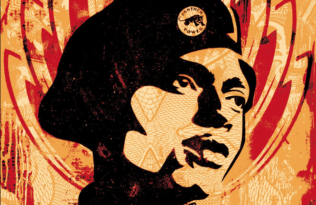 Above the Ten Point Program, under the headline “Minister of Defense,” the Black Panther carried a photo of Huey that served to announce to the world that the vanguard of Black Power had arrived. 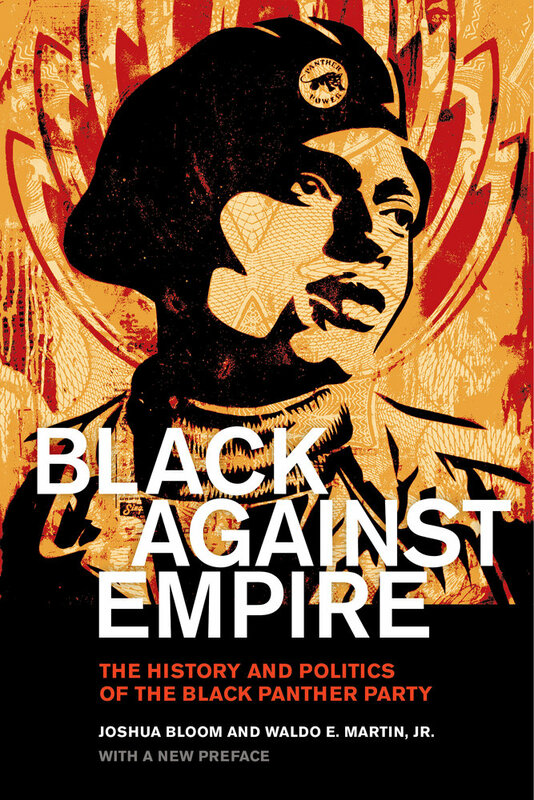 Learn more about the history and politics of the Black Panther Party and Black against Empire here.